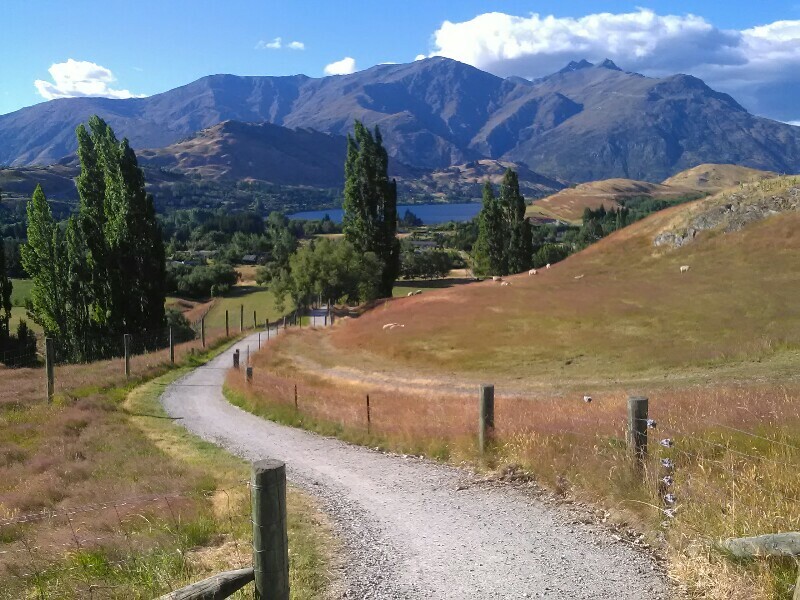 With a warm baguette, I leave Arrowtown and hike through a massive golf course towards Lake Hayes, following once more a cycleway. Once I realize my mistake, it's too late to turn back (well not exactly too late, as I could still return, but there aren't many things that I hate more than to backtrack a few kilometer). 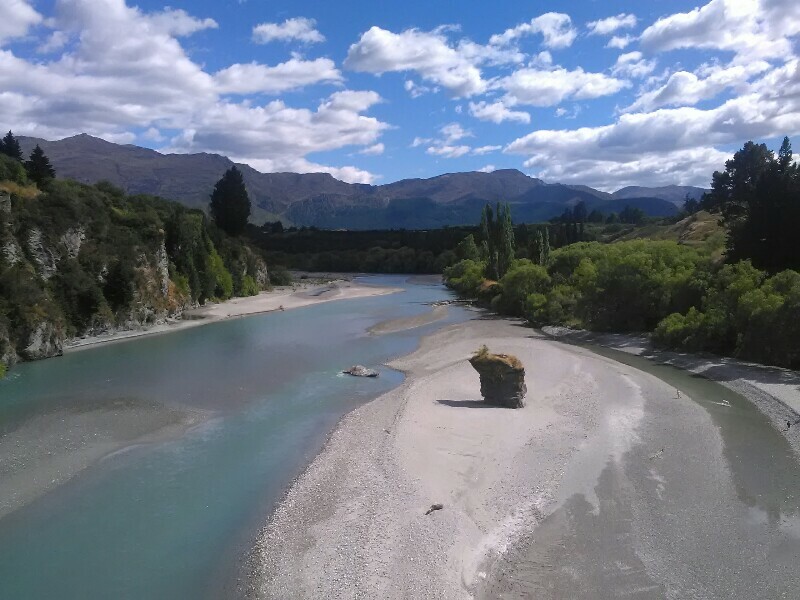 So I continue along wrong way (after initially trying to use farm roads to get onto the right track - without any success) and eventually rejoin the right track an hour later at the Shotover Bridge. 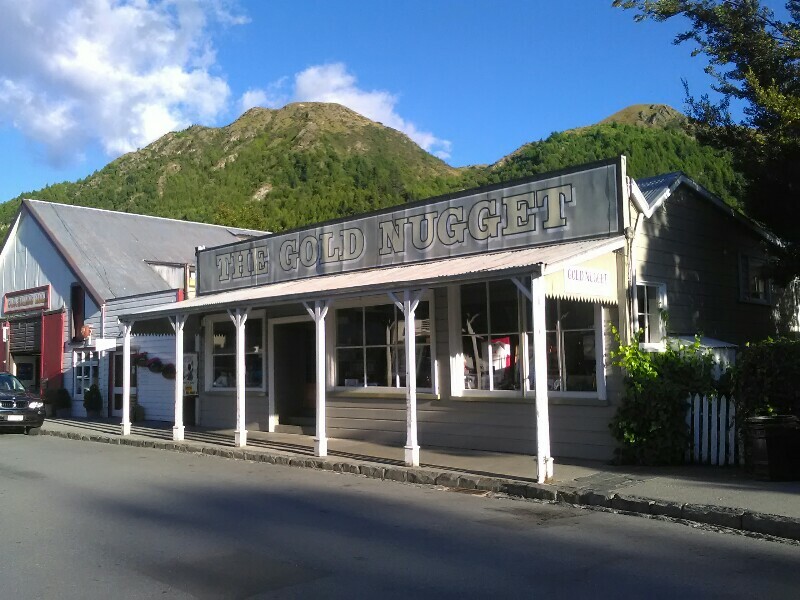 From there it's a forgettable hike through industry and shopping malls (which I use to resupply for the next section to Te Anau) to Frankton. 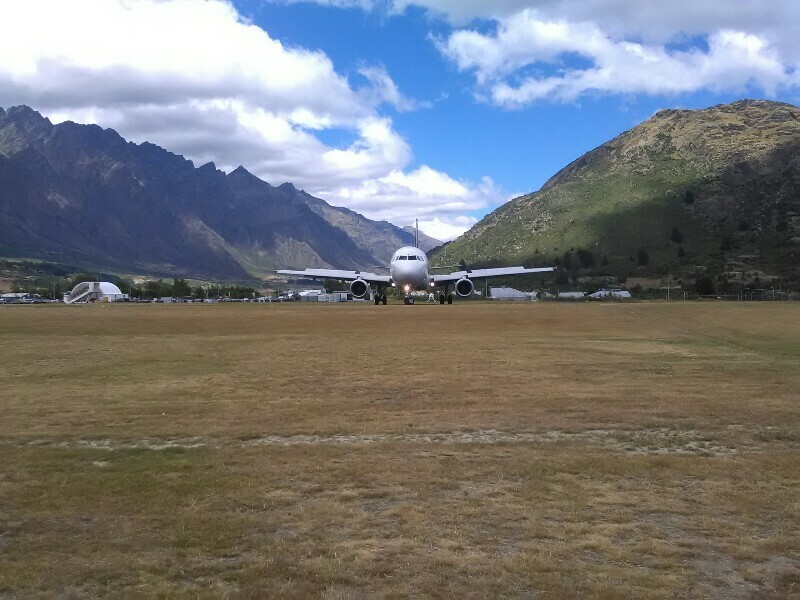 The only highlight: the short part along the Queenstown Airport fence. Good views of the runway! 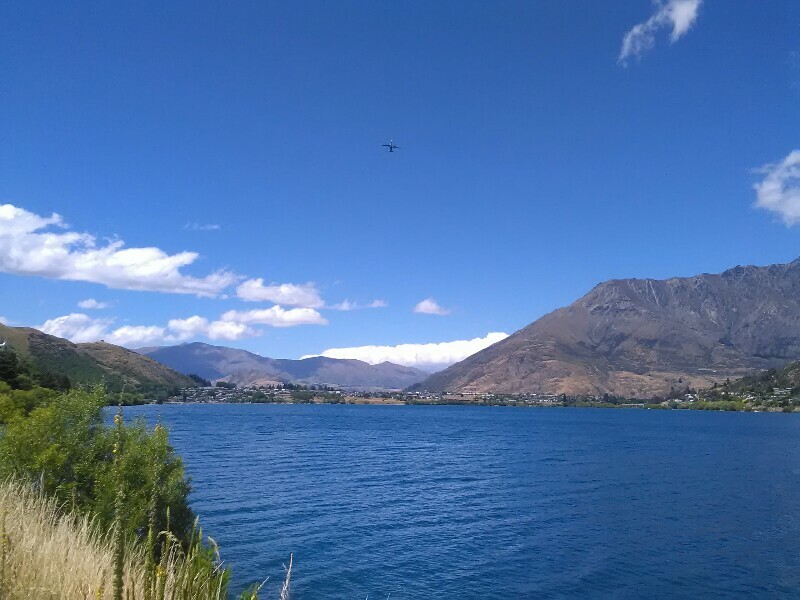 After following Lake Wakatipu for a while, I enter windy Queenstown. I've been warned about the place being really busy - and the warnings unfortunately were justified... The place is packed, mostly young people looking for some action. Travel agencies at every corner trying to please their needs.